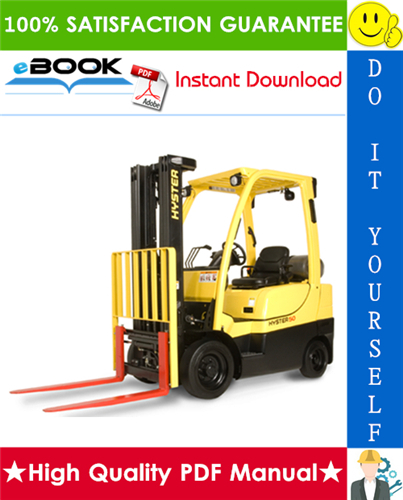 This is the COMPLETE Parts Manual for the Hyster S50CT (B267) Internal Combustion Cushion Tire Lift Trucks. Designed for the repair shops and individuals when ordering parts for their Hyster S50CT (B267) Internal Combustion Cushion Tire Lift Trucks. This Manual describes and illustrates assemblies, subassemblies, and detail parts needed for service replacement. it Covers every part of your Hyster S50CT (B267) Internal Combustion Cushion Tire Lift Trucks inside and out. Tons of pictures and diagrams at your fingertips! This QUALITY manual is 100 percents COMPLETE and INTACT, no MISSING/CORRUPT pages/sections to freak you out! It also is Bookmarked and SEARCHABLE to make what you need easy to find. Complete download comes in PDF format which can work under all PC based Windows operating system and Mac also. It saves to your hard-drive and can be burned to CD-ROM. It can be viewed on any computer, as well as zoomed and printed.